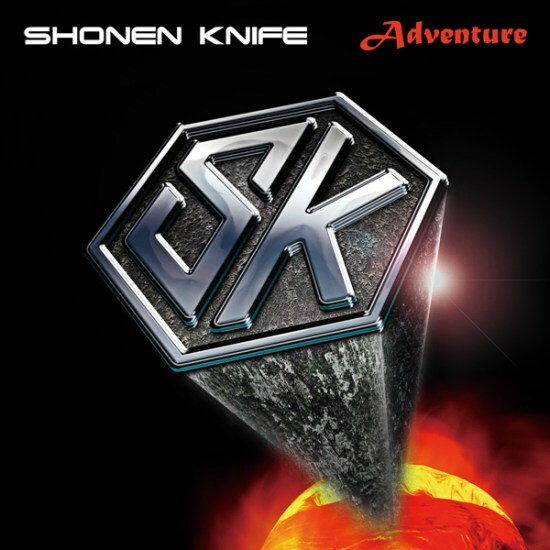 The bland but topical cover, giving the Shonen Knife logo a Superman makeover, distracts from an otherwise solid and poppy album – the titular adventure can be found in cute songs about Risa joining the band (‘Jump Into The New World’), songs about distant lands (‘Tasmanian Devil’, ‘Hawaii’) and even closer to home: in the track ‘Green Tangerine’, the band imagines the potential of a ripening fruit from Risa’s hometown, Oita, singing, “It has just begun / No one knows the future.” For a band with such a long career, this positive attitude makes for a pleasant change from the cynicism that overrides punk as a genre. Instead, Shonen Knife pen songs about taking part in music and creativity at any stage in life: “It’s not too late,” they croon in the opening track. Though they don’t vary greatly overall, each track off Adventure is its own tiny, neatly wrapped present or chocolate from a variety box, nicely put together, not too fancy, with a kick inside in the form of inventive, weird lyrics, vocal harmonies, spritely riffs and – two words not often used together – cute solos: the one in ‘Tasmanian Devil’ in particular is a standout, and ‘Rock N Roll T-Shirt’’s riff winds clumsily through the scale in a way more endearing and funny that any criticism that could be levelled at it. Strange, quirky songs like ‘Wasabi’ (“I like the pungent taste / Don’t you agree with me?”) and the bizarre, subtly dark ‘Dog Fight’ sit counterpoint to the honest sweetness of ‘ImI’ and ‘Cotton Candy Clouds’, complete with a fluxing guitar effect rarely used well but slotting in just right here. Overall: exactly what you’d expect from Shonen Knife, but not in a bad way. Sometimes it’s nice just to be satisfied. Shonen Knife are touring the UK and Eire extensively in April and May in celebration of their 35th anniversary, staring on the 14th at Manchester’s Ruby Lounge. The full tour details can be found with Damnably here.